Viktoria Ikonen was born in Leningrad in 1986. 2010 graduated from The Russian State Academy of Art and Design with the Master’s degree. During her studies she attended painting and analytical drawing workshops by professors Mosevitch S. P. and Kazakov B. B. Since 2013, the artist has participated in various shows in Russia, Finland, Germany, Turkey and Spain, and attended international art residencies. In 2014 she was a recipient of a monthly support stipend in Can Serrat art center in Barcelona, Spain and in 2016 became the finalist of Start In Art competition organized by K35 gallery in Moscow. The list of solo shows includes Changes/Constancies at P-galleria, Pori, Finland in 2017, This Error is Forgivable, in collaboration with Nobushige Kono at Artreflex gallery, St. Petersburg, Russia in 2016 and Something real, Mart gallery, St. Petersburg, Russia in 2015. 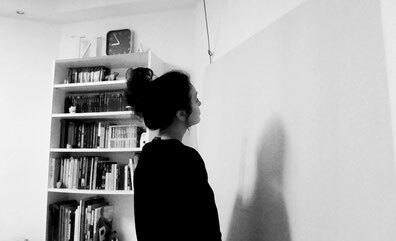 When Ikonen set off to work with photo imagery, she inevitably encountered the problem of the relationship between photography and painting in contemporary art. The artist was mostly inspired by the idea of how relative and dual our reality is – which consequently turned into a long-term artistic exploration. Artist’s current projects and research focus on thinking about how to represent the actuality around us and how the interconnection between nature and structure, abstraction and figuration, traces of history and marks of present in contemporary landscape demands different treatments for each portrayed area.